Last week I had been working from home all day. Despite having a beautifully nourishing breakfast and energy packed lunch I knew that I’d need something to tide me over during my evening yoga classes. 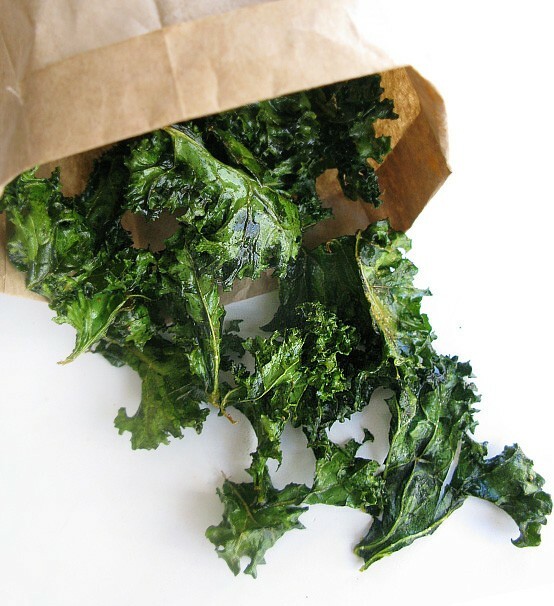 After posting a picture of my Kale Chips on facebook I enjoyed seeing the different reactions. A few people weren’t so impressed, and others wanted the recipe. So here it is… you decide. Don’t judge a book by its cover, EAT them first and then judge. If you are still aren’t convinced, then fair game. Any other seasoning – Cumin, Pepper, Turmeric and Sumac are all faves of mine and work well here! You want crunchy, crisp but not burnt chips. Eat and enjoy! Saha to you.